For a trouble-free move, look no further than our team of San Gabriel movers. Meathead Movers provides professionally-trained student-athlete movers, ready to get you into your new home quickly and efficiently. Considered the birthplace of the modern-day Los Angeles metropolitan area, San Gabriel, California, is an exciting city and a great place to call home. If you’re thinking about moving to the area, don’t secure the services of any San Gabriel movers until you have a look at what we have to offer. 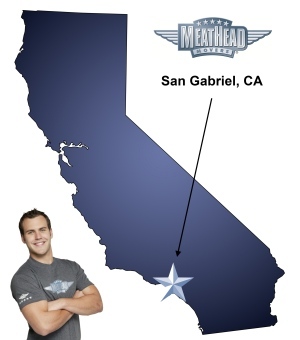 We are Meathead Movers, and we are California’s best moving company. With a population of just over 42,000, San Gabriel offers a neighborly environment. Residents can enjoy a somewhat relaxed lifestyle while still being able to enjoy the dining, shopping and entertainment options that Los Angeles has to offer. There are also plenty of live theater performances at the Mission Playhouse and outdoor concerts in the city’s charming Mission District. If you are considering a move to the area, Meathead Movers is here to help. Our San Gabriel movers specialize in local, long-distance, and commercial moves to, from, and within San Gabriel. We also provide reliable packing, storage, on-site relocations, and our distinctive moving concierge service. Our concierge service can help connect you with the service providers you need to ensure a smooth transition. At Meathead Movers, all our student-athlete movers are thoroughly screened and trained before their first move. The same people who load your truck will unload your truck, which will save you the trouble of repeating which items need extra special attention. We offer fixed pricing plans for long distance moves so there’s no confusion over what you owe, and we also offer a 100% satisfaction guarantee. No other moving company in California can say that. Moving to San Gabriel shouldn’t be a chore. Give us a call today to learn even more about the services we have to offer. We can even give you a no-cost move quote. Contact us and experience the Meathead Difference. Moving to San Gabriel? Here are some helpful resources. View more San Gabriel resources. The guys were great, helpful, great attitude and asked questions When they weren’t sure where to put something. If I need something moved, they did it with a smile! Really a great experience I’m glad we found you. ALL I CAN SAY IS YOUR GUYS WHERE AWESOME. THEY WHERE VERY POLITE AND VERY FAST SO MUNCH SO MY WIFE WENT AND GOT ALL OF THEM IN AND OUT. The guys were super courteous and professional. Did more than was requested. Friendly, well organized, good driver, good communications, very patient. Stong, capabale and affable young men who want to make sure that my things are treated as I would treat them myself. So strange not doing the heavy lifting myself....kinda didn't know what to do. My mom hired a Chinese moving company to help me move in the past - they were very, very fast, but I did not feel like they protected my furniture well. I chose to go with Meathead this time because I thought they would do a better job protecting our belongings. I definitely feel like our furniture and items were better cared for, but I did feel like the overall process could have been sped up and thus less costly. I loved the athlete movers though - really great guys.